Hands up if you are sick of the rain? I know i am, as i sit looking out of my office window across another gloomy day. 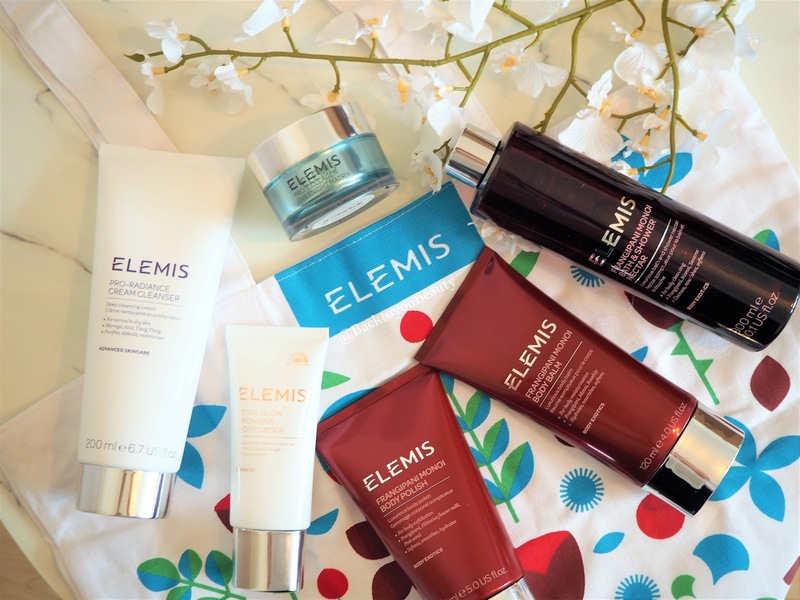 Never fear though, because Elemis have brought out a smashing 6 piece head to toe overnight radiant skincare collection that will make you look and feel brighter than the current weather would suggest. This is the perfect product to kick start your “Summer Glow”. If you are someone that loves how you skin looks when it has just been kissed with a hit of summer sun then this is for you. If you are someone that finds you are reaching for more and more make up products to even out your skin tone due to any redness or discolouration in your skin, then this is also for you. If you have skin this is you for! 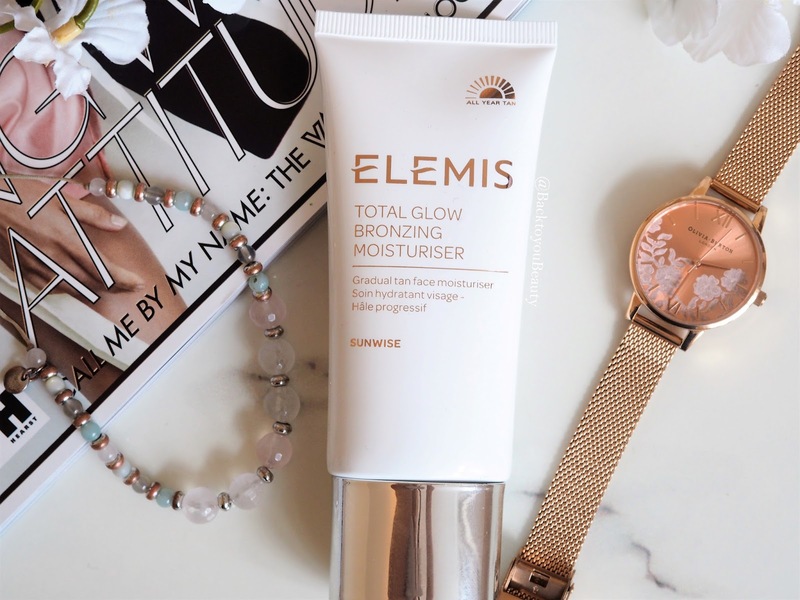 Suitable for all skin types and tones, the total glow bronzing moisturiser has a very special way of making our skin look flawless, even and healthy. With a very fresh yet aromatherapic scent that is not at all cloying, this really is a pleasure to apply to the skin every morning, or on alternate mornings depending on the results you wish to achieve. As you can see from my photo above where i have made a circle out of one application, this is NOT a ‘fake’ tan, it does not make you look orange, but it does gradually enhance your skins complexion making it look beautifully radiant and sun kissed whilst also doing its real job of hydrating the skin. Containing those all important antioxidant ingredients such as Green Tea and Ginger Water, this light, thin, silky moisturiser is perfect for everyday use ( or every other day) alongside or in conjunction with your usual Pro-Collagen Marine Cream. A real summer must have. 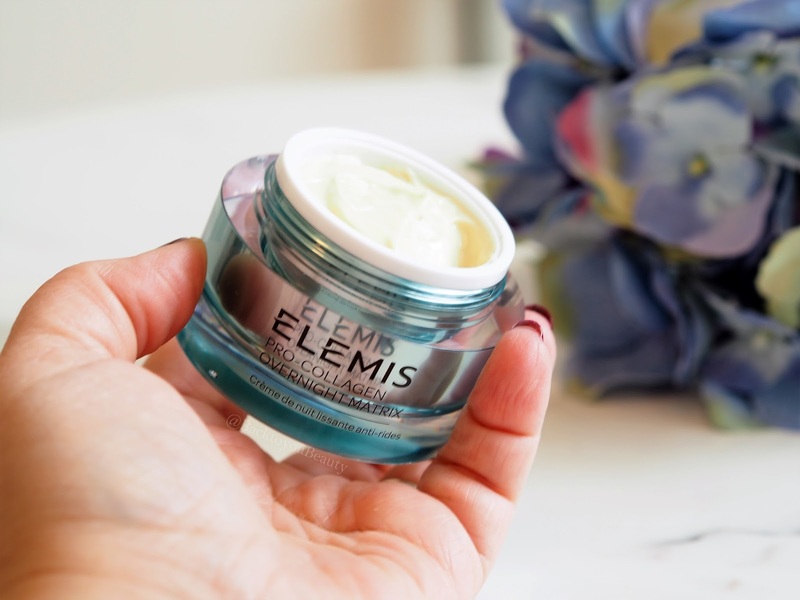 Drum roll please…….this is the incredible new launch from Elemis that will make you wonder how you ever lived without it – really! This is stress relief in a jar as far as i am concerned. This is your hangover skin remedy (don’t ask hahaha), your life-is-just-to-busy remedy, the product that you would reach for if your skin is making you look older than you actually are. A huge claim i know but it really needs to be tried to be believed. 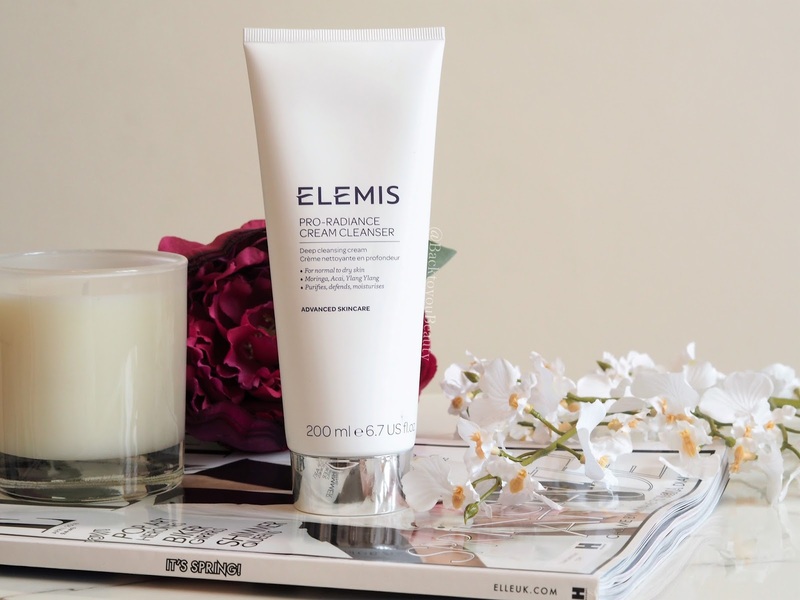 If you are a regular reader you will know that i adore my Oxygenating night cream for plumping out my fine lines and wrinkles after a busy day and breathing life into my tired skin. This is different. Pro-collagen overnight matrix has the power, thanks to ‘Smart drone technology’ to actively target specific areas of the skin where stress shows more. How clever is that? Using encapsulated peptides, and harnessing the powers of Padina Pavonica and Micro-algae this new technology is able to almost scan the skin and deliver more product, more love and care to specific areas and really target those skin concerns. So whether that be lines and wrinkles that have appeared through stress, lifestyle, poor diet, being overworked, whatever the reason may be, this product aims to penetrate into the skins surface to make the skin appear less creased in the mornings, more rested, hydrated and relaxed looking. With an almost whipped, mouse like texture and the glorious scent of Pro-Collagen Cleansing Balm, this is really something special. Apply a pea sized amount every evening to clean, dry skin and gently massage in upward movements over the face and neck. The 30ml size is currently exclusive to QVCUK in this collection, but just as an idea, the 50ml size is £145.00 on the Elemis website right now and when i tell you the price of this complete Elemis 6 Piece Head to Toe Overnight Radiant Skin Collection, you will be totally blown away. Beautiful new launch. 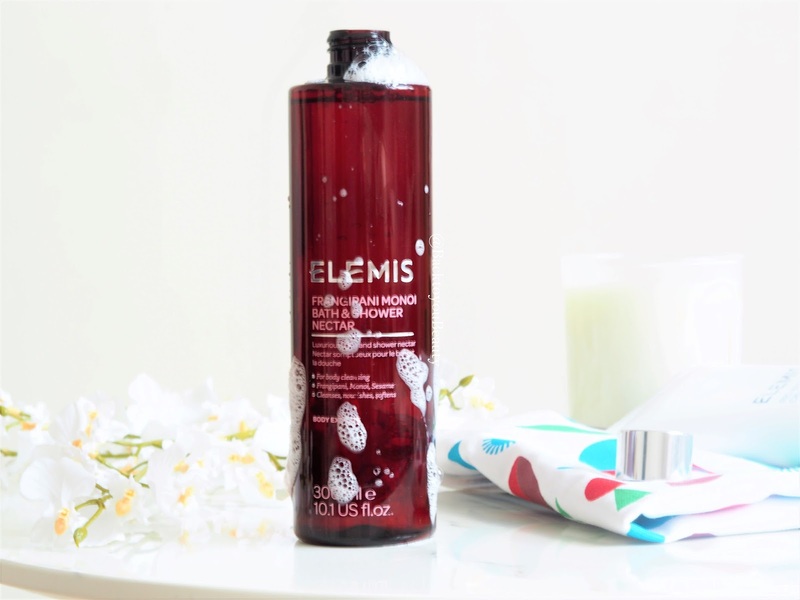 When Elemis added bath & shower nectars to their range back in 2016 i think it was, i know how many of us were absolutely thrilled. The signature scent of Elemis with its warm and sultry, exotic floral notes, is lighter in scent in the nectar and not as heady as the scent in lotions. Sometimes I find the Frangipani scent a little to overwhelming, as I am a ‘fresh scent’ girl, and was worried how it would come across in the nectar – but is beautiful. Obviously everyone’s sense of smell is different, but I notice more of a sweetness of the white flowers in the bath & shower nectar than I do in the oil and lotions. 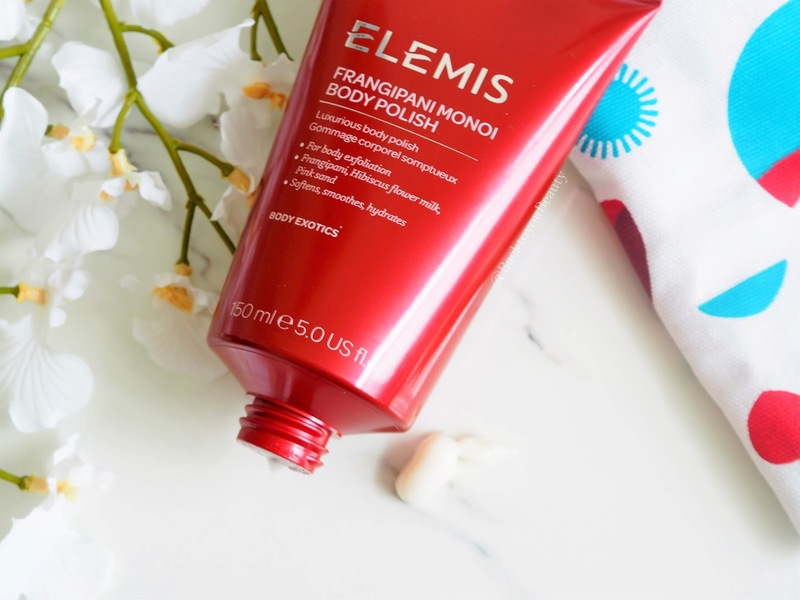 Having recently been pampered with a beautiful Frangipani Spa experience at The House of Elemis which you can read about HERE, this scent now really relaxes me and puts me in a wonderful mood. It is enveloping in its warmth and perfect for an evening bath as well as a relaxing shower before bed. It is exotic and sensual and everything a comforting, warming intoxicating scent should be. The foaming lather creates the most beautifully airy bubbles that gently cleanse the skin whilst leaving it feeling incredibly hydrated and lightly fragranced. Perfect when poured under running water to create a foaming bath or used in the shower. If you love the idea of a body exfoliater, and we really should all be sloughing away those tried, dead skin cells that make our skin look grey and unable to accept any product, but you dislike harsh exfoliants, this would be for you. A chemical and mechanical exfoliator this contains beautiful Hibiscous flower with contains AHA’s (chemical exfoliator) and fine, delicate Pink Sand from Tikehau with lies just north of Tahiti (mechanical exfoliator) which really gently and successfully removes dead skin cells. This body polish envelops the skin in a beautiful heady scent of Frangipani, which just helps with your wellbeing and envelopes the senses whilst layering the skin with beautiful oils and salts. This is such a wonderful product to use in the shower that not only makes the skin feel and look great, but really purifies and nurtures the skin and uplifts the mind. All that from a body polish? Yep!! Blended with Rosehip Oil and Tahitian Monoi Oil this body balm is perfect when applied over your body after a lovely warm bath or shower. Apply to slightly damp skin and notice how the butter immediately sinks in. Thick in texture yet lovely and fast to apply, it absorbs quickly into the skin leaving the most delicious scent and hydrated feeling with a hint of a sheen. Frangipani is that intoxicating scent that takes me off to holidays in tropical places. I apply mine just before bed, after bathing or showering and love to drift off to sleep feeling incredibly relaxed, soft and smooth. My thoughts on this collection – With out a shadow of a doubt this is an incredible collection. Containing six outstanding skincare and body products that can easily be split into gifts if you can bare to part with them, this collection is sure to make you feel rested and relaxed whilst making your skin appear more smoother, radiant, younger looking and less stressed. As a very busy working mum, i can sometimes feel a little consumed and overwhelmed with stress and really need that time at the end of my day to just relax into my skincare and take time out for me. This collection is perfect for that. It does also come with a lovely tote bag which i will be taking to my sisters wedding in sunny Newquay in five weeks time, looking and feeling fresh and rested. 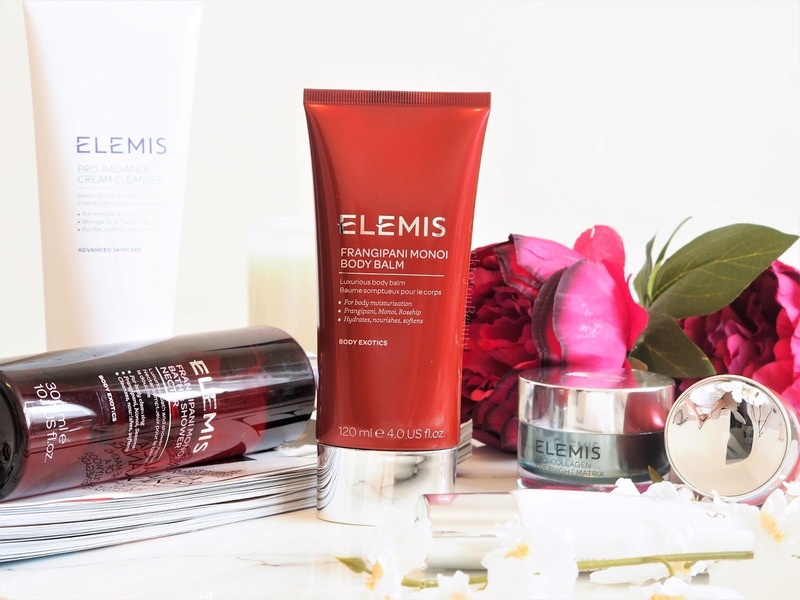 Launching as a Todays Special Value (TSV) on QVCUK on Saturday 15th April HERE but going onto Pre-Sell HERE on Tuesday 10th April this Elemis 6 Piece Head to Toe Overnight Radiant Skin Collection has a value of over £218.00 but will be available on four easy payments for under £59.96 Wow! This collection has a shelf life of 3 years unopened, so i will be getting more than one as i really want more of the Pro-Collagen Overnight Matrix at this exceptional value. Thank you Sharon. A very informative write up on this collection. Both hands �� in the air here! I'm sick to the back teeth with rain ☔ and cloudy ��️ skies!Great information and descriptions Sharon, thank you! 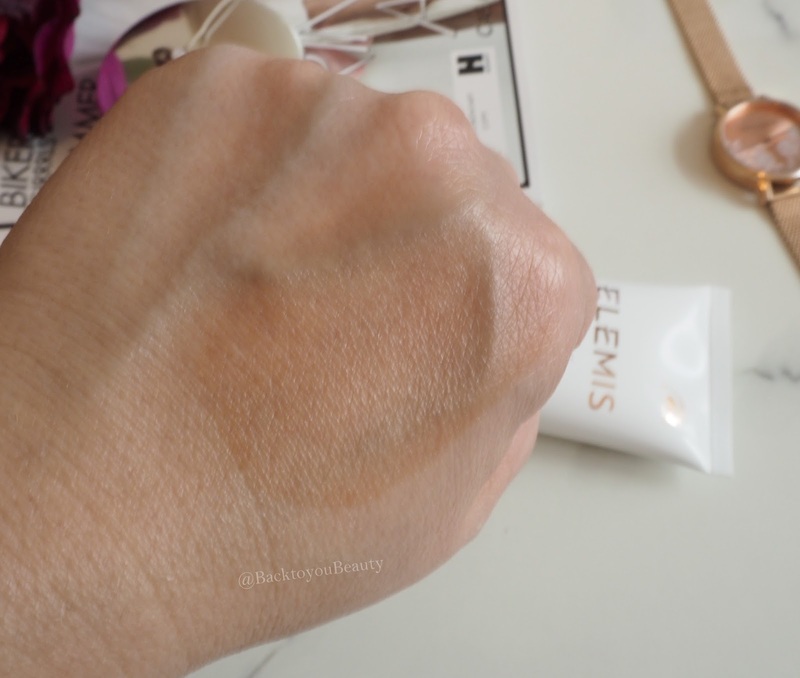 I haven't tried many of the Elemis body products but I know they smell heavenly from what I've quickly tried in store. I like the sound of the cleanser and can't wait to try the balm. The Frangipani scent is heavenly! There was a scented candle in one of the previous Christmas Sets and it smelt divine!